Experience an unforgettable cycling holiday in the green heart of Western-Europe. 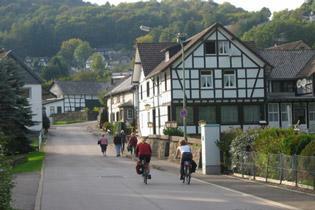 The route is well thought-out and follows bike tracks and tranquil by-roads. For the greater part of the tour, navigation is made easy with the cycling-by-numbers system. 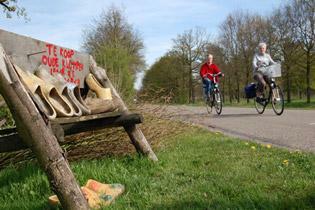 Pedal through three national parks: Hoge Kempen in Belgium, Eifel in Germany and De Meinweg in the Netherlands. Roam past abbeys and castles. Visit Maastricht and Monschau. Enjoy the bike track along the River Roer / Rur. Feast your eyes on woods and heather fields. Seven nights’ accommodation in excellent hotels complete this unique cycling holiday. Worried you may not be fit enough for the climbs in the High Fens and Eifel? Doubtful your own bike is suitable for the terrain? Rest assured. We have hybrid trekking bicycles and e-bikes you can rent when you place the booking for this tour.